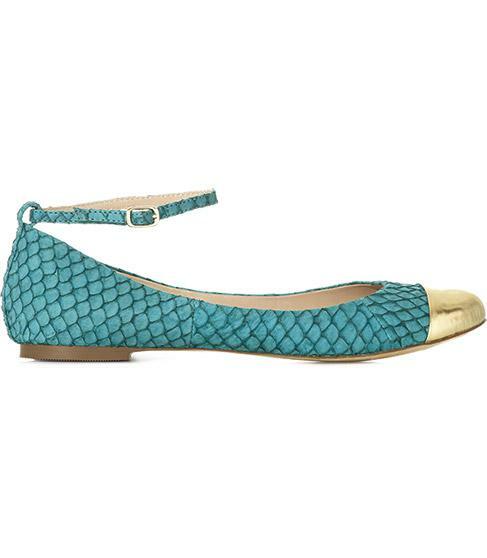 Flats and heels with a contrasting cap toe are in this season. It’s a look everyone can pull off, whether you want to keep it simple with flats or go all out with a daring pair sky-high heels. What is a cap toe? Cap toe is basically a cap in the shoes. It comes in different materials, colors and textures. The cap toe ornaments the footwear making it look more interesting. Cap toe shoes are perfect statement footwear because it offers a twist to the classic shoe choice. Coco Chanel made this popular for years & years. Some designers have incorporated neon into their cap-toe shoes to stay on trend for this season. Cap toes are featured in many footwear styles, including ballet flats, sneakers, pointed pumps, platforms and more.